Stayed with my 4kids and was a perfect location and great space for my big family. The facility was old and low quality but I did not have any expectation for the low cost. Staff were very kind and had a little issue with my booking system was not settled when I checked out. But finished very smoothly in the event. 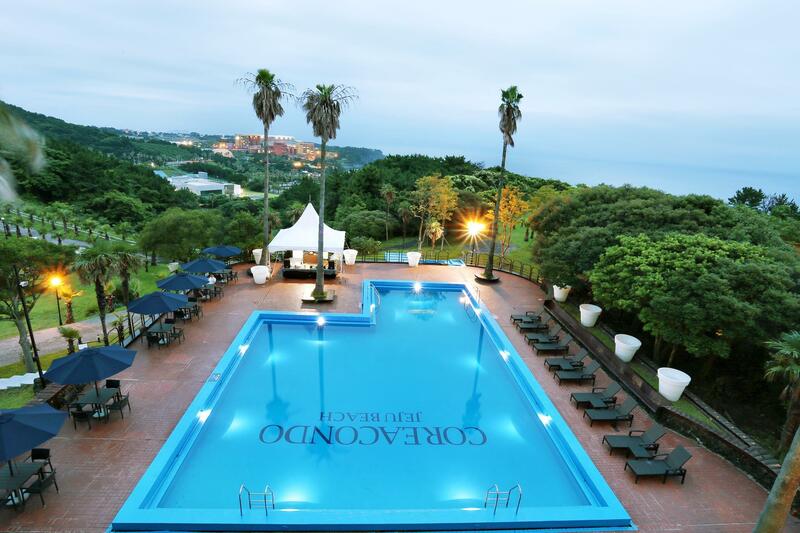 Location is perfect if you really like to see the great nature of Jeju. You can also take a walk nearby facilities garden and etc. 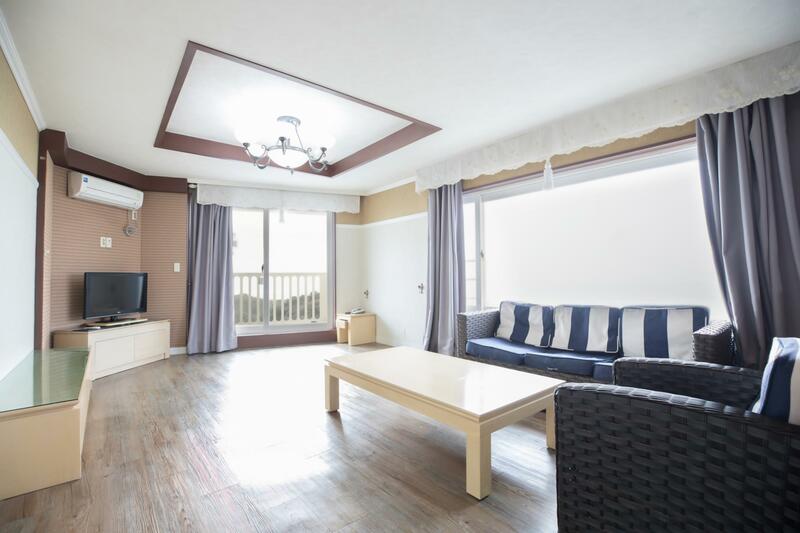 Close to beach and sightseeing spot. Two thumbs up for any tourist. Location is OK, cleanliness should be improved, the most important thing is the staff; they should be trained more in giving service to the guest. We ordered for two rooms but they said that only one was left. After struggling for a while, we can finally have our rooms. Hopefully it can be improved in the service for the future. After our complaint, staff was very nice. The following morning, air condition was fixed and bed made and that was it. Never got our beds made again and did not even threw trash away! This is worst than staying at a motel! Be caution that the staff there do not understand english. Although the website puts that they offer 2 beds, the quantity of that room is limited. It is by first come first serve basis. Overall a bad experience at this hotel. The hotel is not up to date. Wifi is only available at the lobby. Had problems communicating with the staff although they are generally friendly. I requested a 2 bed option for my stay but when i arrived, i was told that they do not entertain reservation and was given 1 bed and 1 traditional korean bedding, which meant the floor. Location however is a plus as it is near the major attractions. Good location, close to main tourist attractions. Big parking. Low cost. Hotel is very old, it seems like last renovation was performed more than 15 years ago. Great hotel, but it just lack of capable staff to handle tourists those cannot speak korean, however they are very patient and try to communicate with google translate. And also the room is a bit dirty and smell like a room that has not been occupied for quite a long time. 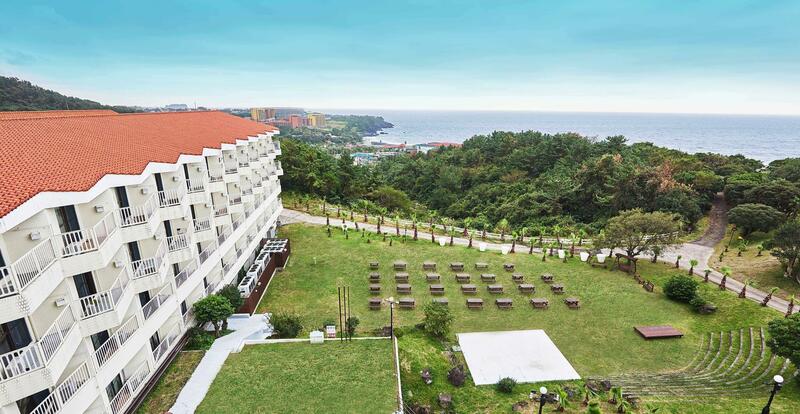 Hotels in Jeju are pretty overpriced, so don't expect too much for the price (e.g. no room cleaning at this hotel). But rooms are pretty big here, at least. Old style, not a 4 star. 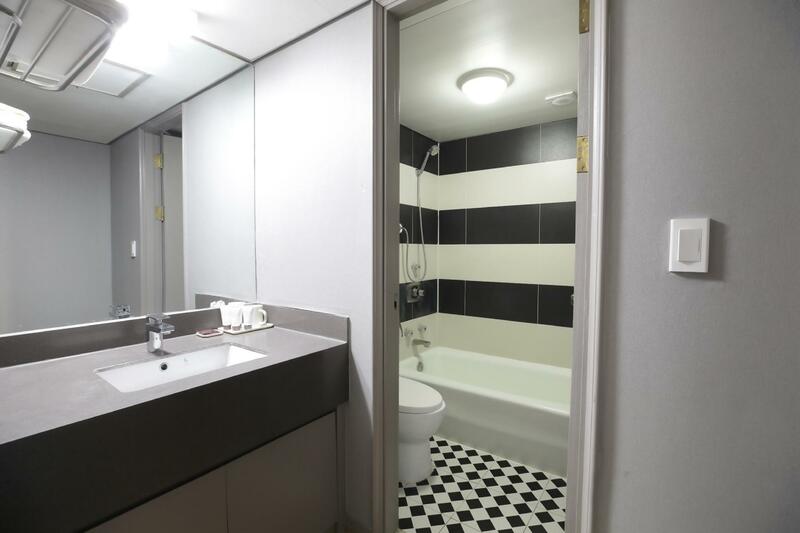 Cheap, Room size is large, and clean. I choosed this hotel because the room fee is cheaper than the hotels around there. However there are many problems in this hotel. I don't know Korean standard services of hotels, but many things were not there. For example, towel, shampoo, shaver, and even remote controller of an air conditioner weren't there (but the air conditioner was there, mysterious). If this is standard, that's OK to me. However I cannot ignore that building was inclined. when I closed one door, I could not shut it completely. There was a space between the upper side of door and wall, but lower side is shut. I think this building may be corrupted If the earthquake occur for that reason. I have also another complaint. I could not use wi-fi access in the room. If you want to use it, you should go to the ground floor. If you are worried about the safety, you should not choose this hotel. On the other hand, room fee is good.